Green Lake Jewelry Works is now able to offer ethically sourced, single-origin diamonds with complete transparency using blockchain technology. 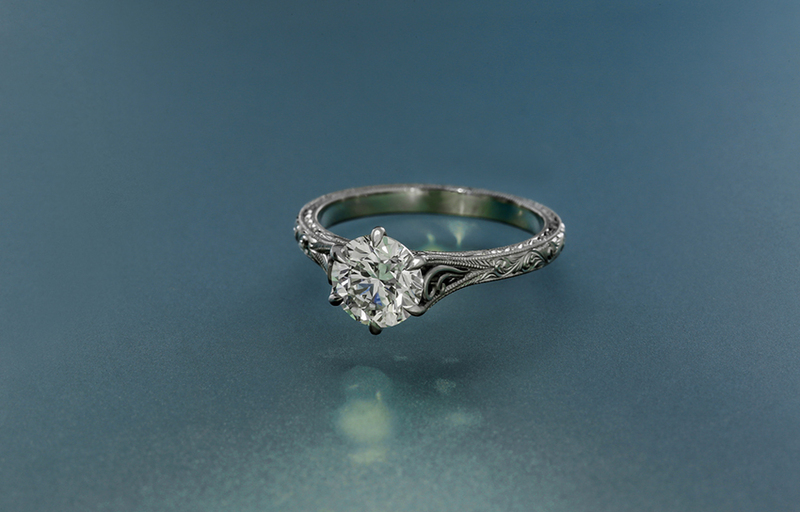 By partnering with Everledger, an emerging technology enterprise that tracks the provenance of high-value assets on a global digital ledger, designers and gemologists at Green Lake can tell you everything about your diamond. A custom-made engagement ring set with a diamond from Botswana that contains a minuscule Data Matrix Code which can be scanned with a mobile device’s camera to reveal the gems journey from mine to market. This month at JCK, the world’s largest annual conference for jewelry professionals, Everledger revealed its newest application — with Green Lake as the first retailer in the U.S. to use it. Its mobile inscription viewer reads a tiny data matrix code on the diamond’s girdle. Packed with information about the diamond’s journey, anyone can pull up the original certificate from the mine, the rough crystal from which it was cut, who exactly cut it, and how it made its way into our studios. We believe this is just the beginning of a genuine transformation in the diamond industry, enabling us to make good on our mission and better reflect the values of our clientele. 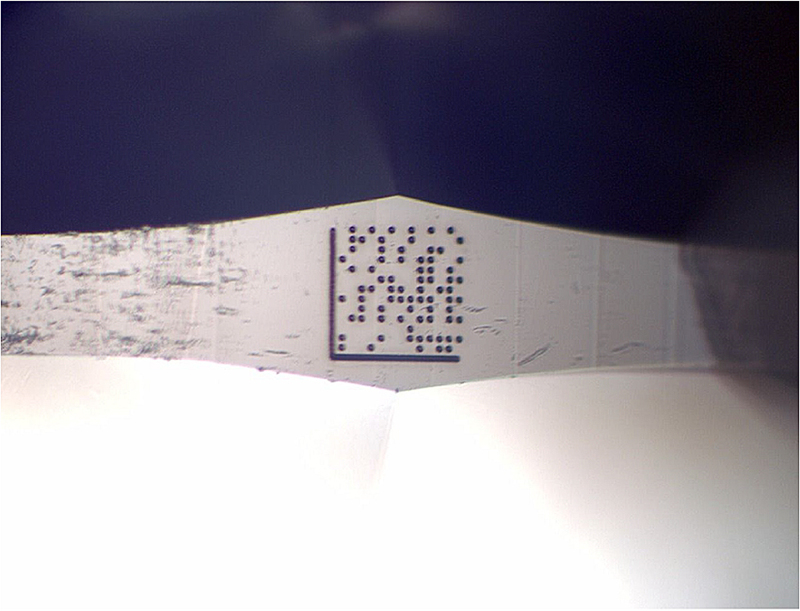 Magnified view of the Data Matrix Code on the diamond girdle. 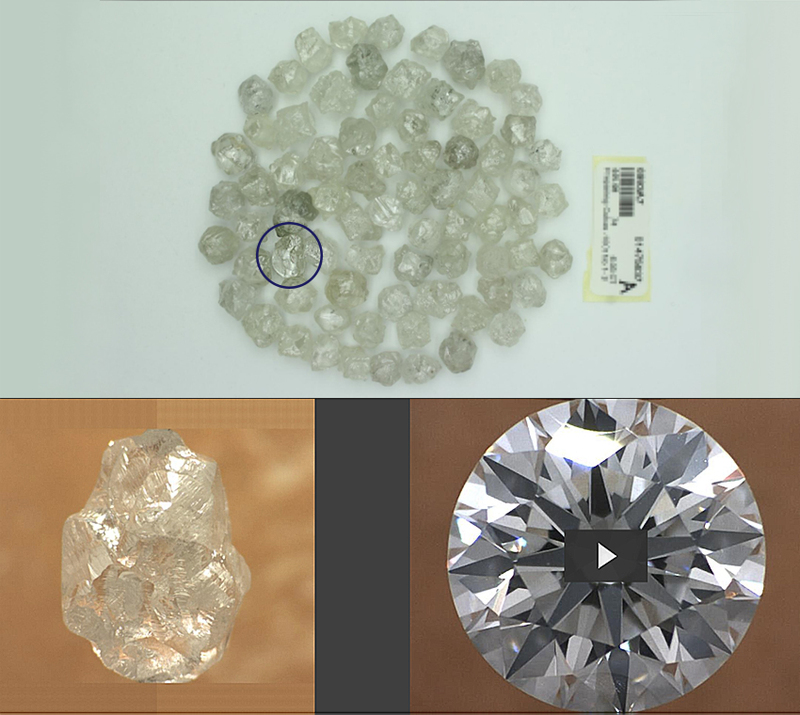 A sample of a diamond’s journey from exactly which parcel of rough material it originated to 360 imagery of its original to polished state. Everledger’s ability in pulling together major diamond producers, certificate houses, and jewelers from around the world has placed its service at the forefront of tracking diamond provenance. The efficacy of this initial pilot is clear, and it’s hopeful that the same blockchain-based solution can include the small-scale artisanal gold and sapphire mines which offer Green Lake clients a responsible option for wedding rings — Certified Fairmined and the Montana Collection.